We have 1 sitewide 728x90 banner advertising positions. 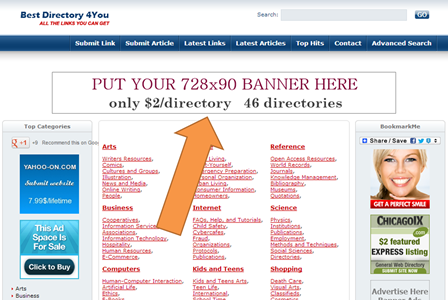 Your 728x90 banner will appear on every page on every Directory under top bar. 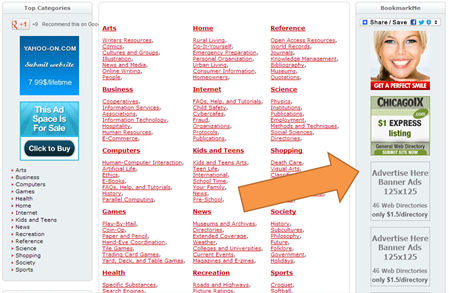 46 directories, in total all directories receive over 10,000 visitors per day. We have 5 sitewide 200x200 banner advertising positions. Your 200x200 banner will appear on every page on every Directory in side bar. We have 10 sitewide Sponsored Links positions. 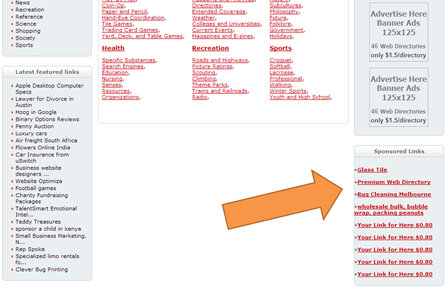 Your Sponsored Link will appear on every page on every Directory in side bar under 125x125 banner. 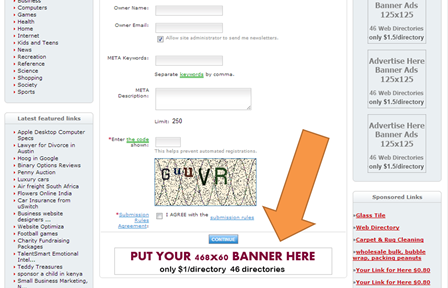 We have 1 468x60 banner advertising positions. © Copyright 2018 Advertising with 46 Directories.